How might GDPR impact your business | The Web Professional, Inc.
You may wonder what GDPR means to you and your company. According to the eugdpr.org website’s FAQs, under the question of Who does the GDPR effect? Therefore, although yours may be a US-based company, location may not relieve your company from meeting this new law’s requirements going into effect on May 25, 2018. The GDPR law has been in the works in the EU for a few years, and coming on the heels of the Cambridge Analytica / Facebook user record breach, and other data breaches culminating in literally billions of individuals’ data being exposed to who knows who, we as consumers and as business leaders must pay attention. From a consumer perspective, one may feel that protecting their personal data is daunting at best, considering the number of data breaches already reported. As a business, when communicating to our customers through the variety of options available, such as: website, social media, e-mail marketing, digital ads, and more, there is a responsibility to follow certain protocols that protect citizens who engage with us online, and we are tasked with being compliance with the laws put in place to protect them. 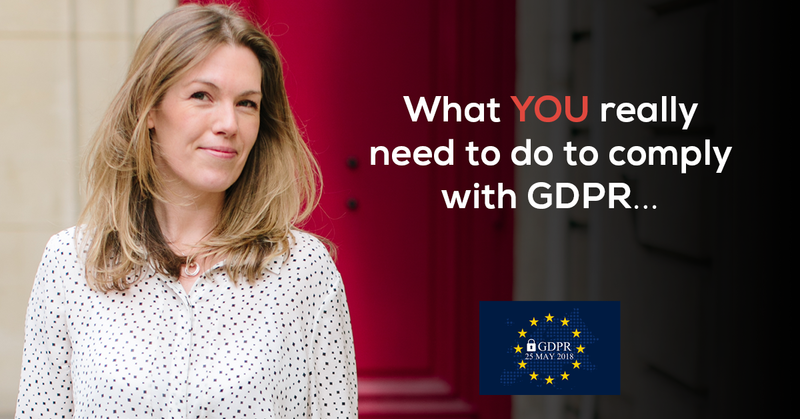 We encourage business leaders to become informed of GDPR requirements. Because there are very few barriers in the digital realm, a US-based company is not immune to exchanging data between itself and a client who may fall under the protection of the EU’s GDPR umbrella. And, the fines for non-compliance are significant. Here is a link to learn more about how the GDPR may impact all American businesses in consumer data procedures. If you have questions about how your company may be impacted by the GDPR, please contact us to learn more.